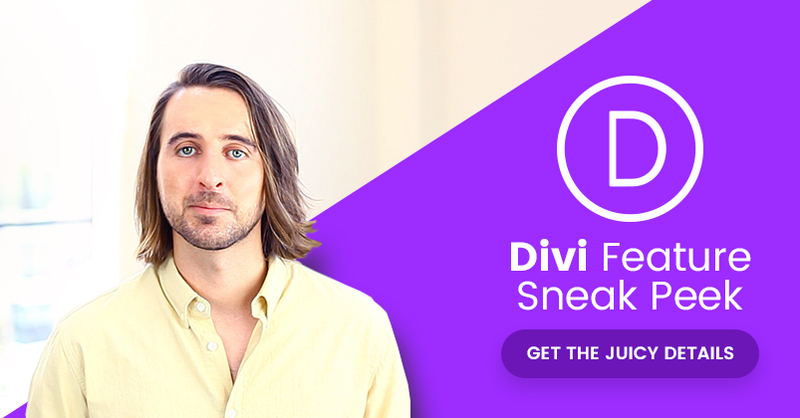 Divi 2.7 Sneak Peek: A Look At Our Upcoming Divi Leads Split Testing System And More! Divi 2.4 Will Be The Biggest Update In Divi History, And We Are Calling For Your Suggestions! A Sneak Peek Of Divi 2.4, And Why It Will Be The Most Fantastically Fluid & Flexible Divi Yet!